This cafe menu board is truly elegance personified . The black background color is brilliantly used and the red color for specific promotions. The white typeface contributes to the elegance. The cafe has a wide and exclusive spread in confectionery products and sweets. 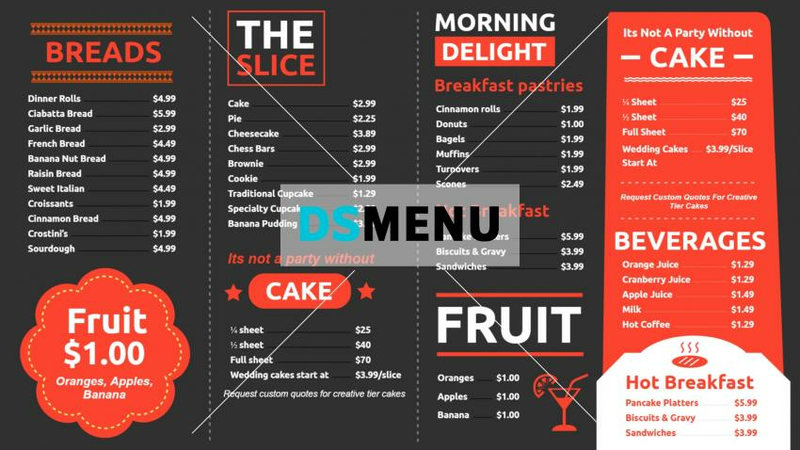 On a digital menu board the impact will entice people from all age groups. Footfalls and sales sure to increase.